← Is this the Answer?? 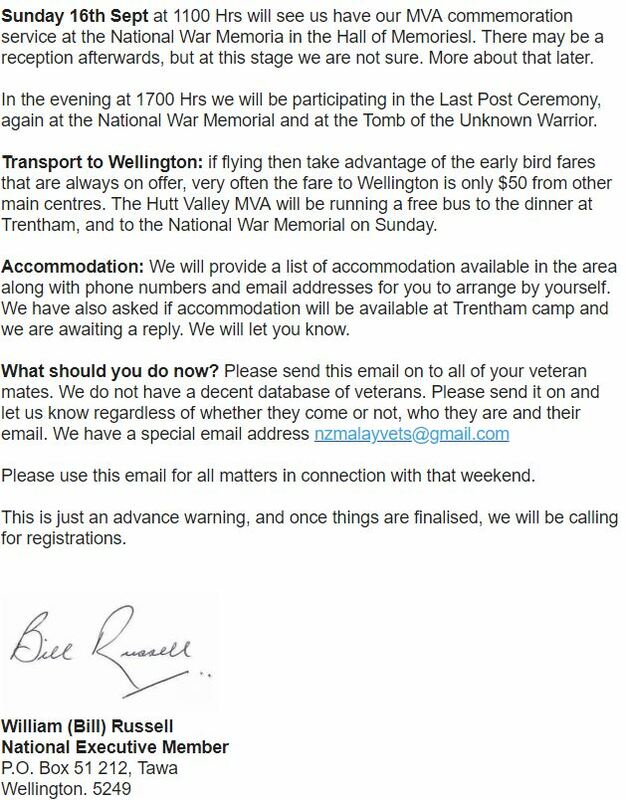 The Lower Hutt branch of the Malayan Veterans Association (MVA) is organising the 7th official Government anniversary of the Malayan Veterans Day 16th September 2018. We are also recognising the 70th Anniversary of the Malayan Emergency which lasted for 12 years and ended in 1960. The national MVA body will be attending Wellington for the AGM as well. Click on the image to see what the weekend will include. You don’t have to be a current financial member of the MVA – just being a Malayan Veteran is enough to be able to attend the MVA weekend. There will be further follow up information and confirmations to come later.